Even when you have been injected with the seasonal flu vaccine at a Kroger clinic, you should still take the necessary precautions to avoid catching the virus, so to speak, at work. Keep in mind that the flu vaccine is not 100% fool-proof in the sense that you may still be infected except that you have a higher level of protection. With these three simple steps, you can reduce your risks for flu, as well as reduce the risks of passing it on to others. Each of us, after all, has the responsibility of adopting these measures as a way of contributing to the prevention of a flu epidemic. This is such a simple preventive measure yet so many people still fail to adopt it for various reasons, like laziness or lack of time. But there’s a good reason doctors and nurses wash their hands – or at least, use a hand sanitizer – between every patient and you should take your cue from them. Washing your hands with soap and water is one of the simplest yet most effective ways of preventing the spread of germs between objects and people. You should then wash your hands after using any communal object, such as the coffee machine, the photocopier, and the phone, even the doorknobs and handles, among others. Even just washing young hands under lukewarm water – or as hot as you can tolerate it – will do the trick. You must also wash your hands after using the toilet and then use either a paper towel or toilet paper in turning off the faucet and opening the door upon leaving. You can then prevent re-contamination of your newly-washed hands. The flu virus can also be picked up from the surfaces of your desk, cabinets and computer at work. You should then wipe down these surfaces at least once a day with a sanitizing wipe, which will remove most of the germs. You are essentially keeping your workstation clean so that it does not become the breeding ground for germs. 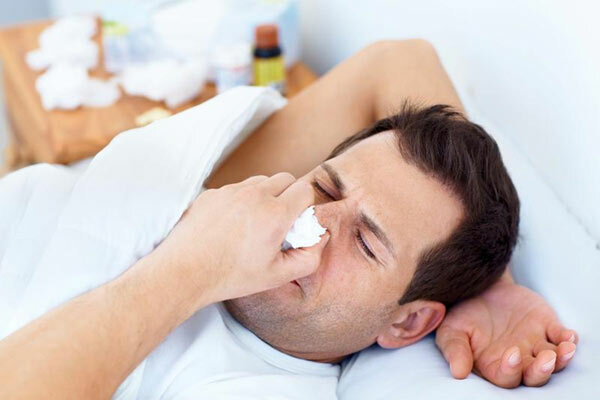 Infants, young children, and the elderly are more susceptible to the flu because of their weaker immune system. You must then stay as fit as possible by adopting a healthy diet, a moderate exercise program, and sensible lifestyle habits to strengthen your immune system and, thus, ward off the flu. Of course, covering your mouth and nose with a handkerchief when you sneeze or when somebody else sneezes is always a good idea.